The Novel Cure offers an alphabetical list of ailments and problematic situations that starts with "Abandonment." The prescription is Plainsong, Kent Haruf's tale of small town Coloradans stepping up to support neighbors let down by loved ones. "If you have been abandoned, don't be afraid to reach out to the wider community around you -- however little you know its inhabitants as individuals. They'll thank you for it one day," write Berthoud and Elderkin. The list ends with "Zestlessness" and the suggested cure is Ragtime, E.L. Doctorow's lively, panoramic story of early twentieth century America. "Put yourself in a place where change is a given, and feel the zest flood back in," Berthoud and Elderkin advise. In between A and Z are a host of physical and mental conditions both serious and whimsical. For example, under C there is both "Cancer, Having" (prescription: chose from a list of good novellas since you may not have the energy for a full-length novel) and "Coffee, Can't Find a Decent Cup of" (prescription: The Coffee Story, a fictional memoir of a failed coffee entrepreneur, by Australian writer Peter Salmon). Feeling like a failure yourself? H.G. Wells' The History of Mr. Polly, about a despairing, middle-aged draper who sets off to find a more joyful, fulfilled existence, may help. "Align yourself with Mr. Polly. Turn your supposed failures on their head. Stand tall," say Berthoud and Elderkin. Or perhaps you are too easily moved to cheap sentimentality? 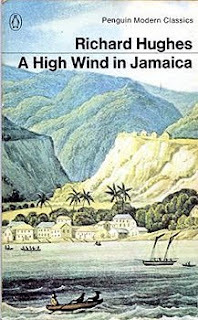 Try Richard Hughes' A High Wind in Jamaica, a "bracing tonic" of a novel in which neglected children cold-bloodedly contend with being kidnapped by pirates. "Perhaps even too disillusioning in its portrayal of the loss of childhood innocence, the novel will nevertheless be the perfect counterbalance to your gooey nature," say Berthoud and Elderkin. The A to Z list is peppered with some forty top ten lists, including the Ten Best Novels to Cure the Xenophobic (e.g. Once Upon a River by Bonnie Jo Campbell, Cities of Salt by Abdelrahman Munif), the Ten Best Novels to Cheer You Up (e.g. Fever Pitch by Nick Hornby, I Capture the Castle by Dodie Smith), and the Ten Best Novels to Make You Weep (e.g. Kiss of the Spider Woman by Manuel Puig, A Lesson Before Dying by Ernest J. Gaines). Though centuries old classics are occasionally prescribed (e.g. the "electrifying" Don Quixote for lethargy) Berthoud and Elderkin mainly stick to more recent works. Their recommendations show a deep knowledge of English language novels of the last hundred or so years and makes The Novel Cure a worthwhile resource even for those who don't buy into the value of bibliotherapy. Gavin Francis of The Guardian calls The Novel Cure -- "[A]n exuberant pageant of literary fiction and a celebration of the possibilities of the novel...Though there's plenty of flippancy it nonetheless contains the sort of grounded, practical advice that GPs are trying to pass on every day." Philip Marchand. "Open Book: The Novel Cure." National Post. 15 November 2013. Talitha Stevenson. "Book Review: The Novel Cure." Wall Street Journal. 4 October 2013. Noreen Tomassi. A Conversation with Susan Elderkin. (video) The Center for Fiction. 25 September 2013. "The Novel Cure" is my favorite book. Moreover, I've advised my friend to look at this website and buy your book there. What an unusual and interetsing post! I think this nover can inspire many people and change their life. Great job! Also, I want to add that not many people are able to write really good stories but it's very easy to solve this problem with college term paper.